Whole world is talking about the growing start-up ecosystem in India. Indian Prime Minister Shri Narendra Modi also did ‘Start-up India’ initiative to promote entrepreneurship amongst Indians. A lot many new companies are coming up, but still the number is not enough considering the scale of innovation needed in India. Lately we have seen many copy-paste ideas in Indian market, but India needs original ideas that are developed keeping in mind the situation, people and market of India. We are seeing that college students have started talking about start-up, it is now the hottest canteen gossip topic. But how many students are starting-up? Very less. A start-up and its founding team has taken lead in promoting entrepreneurship in campuses and in motivating students to start their companies by overcoming the fear of failure and social norms. A2ZEE, an online marketplace for Internet Business Services with virtual currency at its core, is a much talked about fin-tech startup started by a very young and dynamic team. A start-up whose founding team members became entrepreneurs while still being at college. 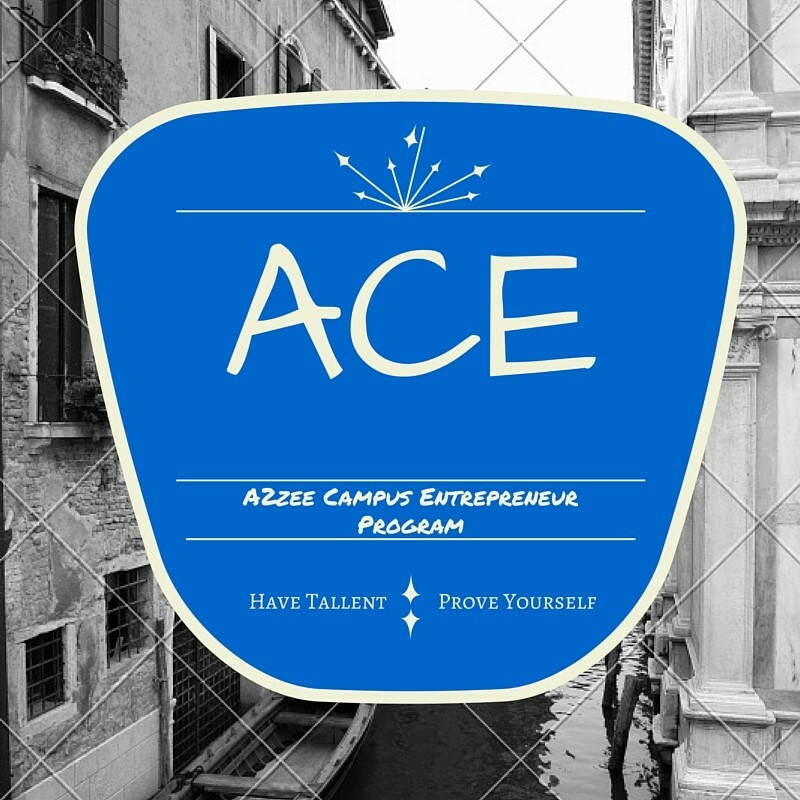 A2ZEE is starting its much awaited ACE (A2ZEE College Entrepreneur) program which focuses on promoting entrepreneurship, and rewarding/certifying college students for their leadership, marketing, communication and entrepreneurial skills. Total 50 students will be selected from campuses across India. These 50 prodigies will promote entrepreneurship on their campus and take lead in promoting A2ZEE at various global platforms. All Campus Entrepreneurs will get certificates, rewards and entry to A2ZEE partner events across the globe. A few who stand out from the crowd and out-perform others will get a chance to be part of Team A2ZEE, join them full time and live their start-up dream with A2ZEE. By being part of ACE, students will be able to overcome their fear, get answers to their questions and get guidance and support in starting their start-up. Very few start-ups actually do something like this to promote entrepreneurship. A2ZEE stands out because of many reasons, one being the ACE program. Check more information at http://www.a2zee.co/ace/ Follow them on twitter and facebook.